Eads, Tennessee is a small bedroom community located within the boundaries of both Shelby County and Fayette County. Although Eads has several beautiful homes, the area is still unincorporated. Some parts of the community where Eads Rreal estate are located were annexed by the city of Memphis in the 1990’s. Even so, most Eads homes for sale fall within the Memphis Reserve district that allows it to be annexed at any given time. Although homes for sale in Eads are becoming more attractive, the Eads home buyer will need to commute to other nearby towns and cities for shopping and services, including Brunswick, Arlington, Collierville, Germantown, Lakeland and Somerville. Even though the area is young in development, there were private schools in the area between the 1880’s and early 1900’s taught by Martha Pearl Smith Powell and her aunt, Mary Elizabeth Brooks Fletcher. A single family home in Eads, Tennessee provides plenty of room for the whole family. Eads real estate include room interiors from 3,300 square feet to more than 5,500 square feet. Typical Eads homes offer 3-bedrooms, 4-bedrooms and 5-bedrooms with plenty of luxury baths. Lot sizes for Eads properties are often expansive with 1-acre to 4-acre plots or more. Luxury real estate in Eads may come with front yard ponds, three or more parking spaces, plenty of green grass and a lot of space to grow. There are also smaller homes that range in price from the mid $200,000’s to the high $400,000’s. Realtor© Lola Putt can help the Eads home buyer find real estate to fit any budget. Eads homes are located near Collierville-Arlington Road, Raleigh-La Grange Road, Macon Road and Hall Road. Because the area straddles both Shelby and Fayette Counties, the Eads homeowner can enjoy activities and attraction in both areas. For instance, the Somerville Courthouse Square, Autozone Park and the National Bird Dog Museum are huge attractions near Eads. Services such as public schools, libraries, hospitals, business filings and county clerk services can be acquired through Shelby County and Fayette County. 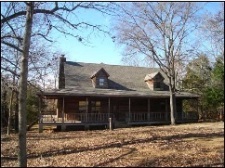 State Parks near Eads homes include the State Fish and Game Refuge, Riverwoods State Natural Area and the Meeman-Shelby Forest State Park. Some events near Eads are the Fayette County Arts Festival, Memphis Italian Festival, W. C. Handy Blues Festival and Fayette County Cotton Festival. The Ames Plantation in Grand Junction, the Memphis Pink Palace Family of Museums or shopping at Collierville’s Carriage Crossing are also great places to visit. For more information on the real estate and community of Eads, Tennessee, contact Lola today at (901) 413-1320 or at lolaputt@comcast.net. 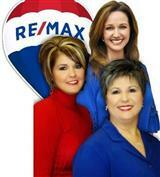 Also, learn about the surrounding areas of Arlington, Lakeland, and Cordova to find the perfect neighborhood for you.